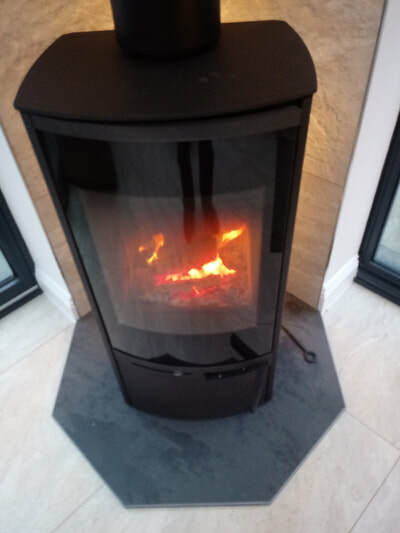 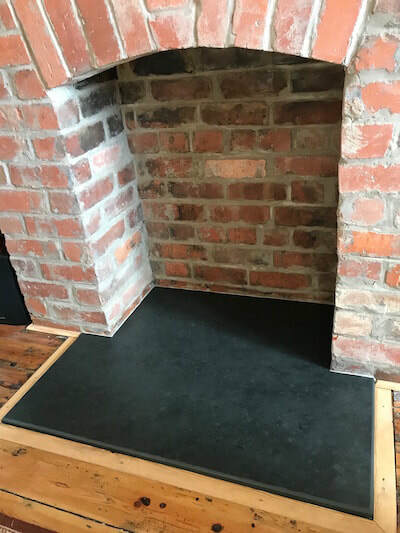 Slate hearth for wood burners then we can offer a large range of bespoke shapes and sizes cut to your own specific requirements from a premium Natural Brazilian slate which is available in 20mm and 30mm thickness. 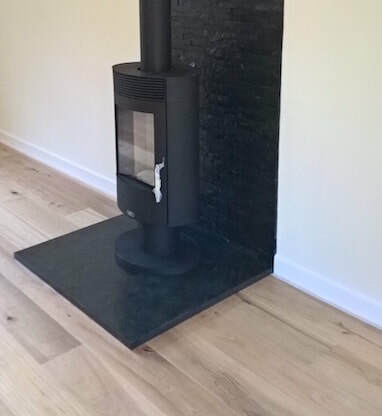 The sizes we can cut are 1500mm long and 1200 wide wide whilst this is a very large slab and not the average it is available. 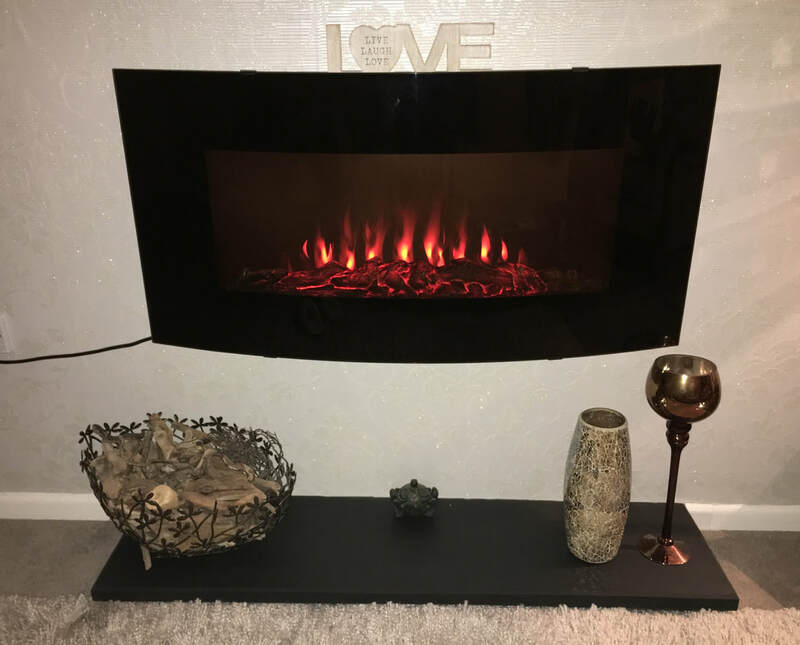 Most popular sizes is 1.2 metres long on the front edge we also are capable of finishing the edges with either a clean sawn , 5mm bevel (pencil edge) or 1/4 bullnose. 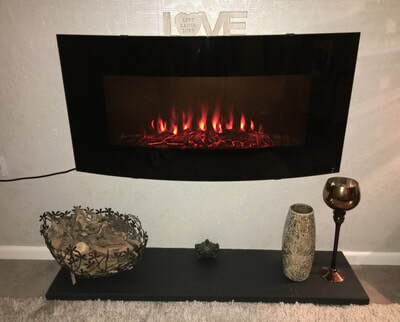 We produce a lot of T shaped hearths in one pice which fit inside the chimney breast and protrude into the room with the front facing which allows you to install the woodburner inside the opening and still allow you to follow fire regs by having enough space in front of the stove opening . 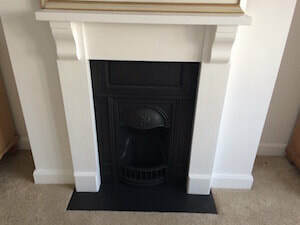 Slate hearths and wood Burners go together and once installed will not become out dated and is totally non flammable They are usually sat on a bed of mortar but can be stuck down with a good cement based tile adhesive . 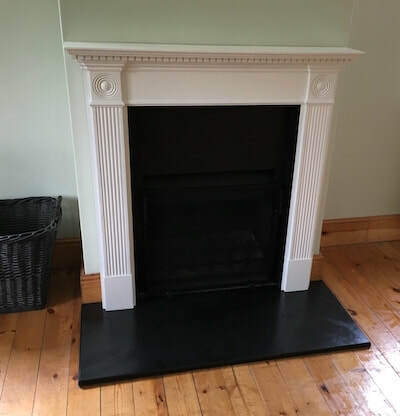 We have a large range of slate blanks that we can cut to bespoke shapes and sizes at very reasonable costs .